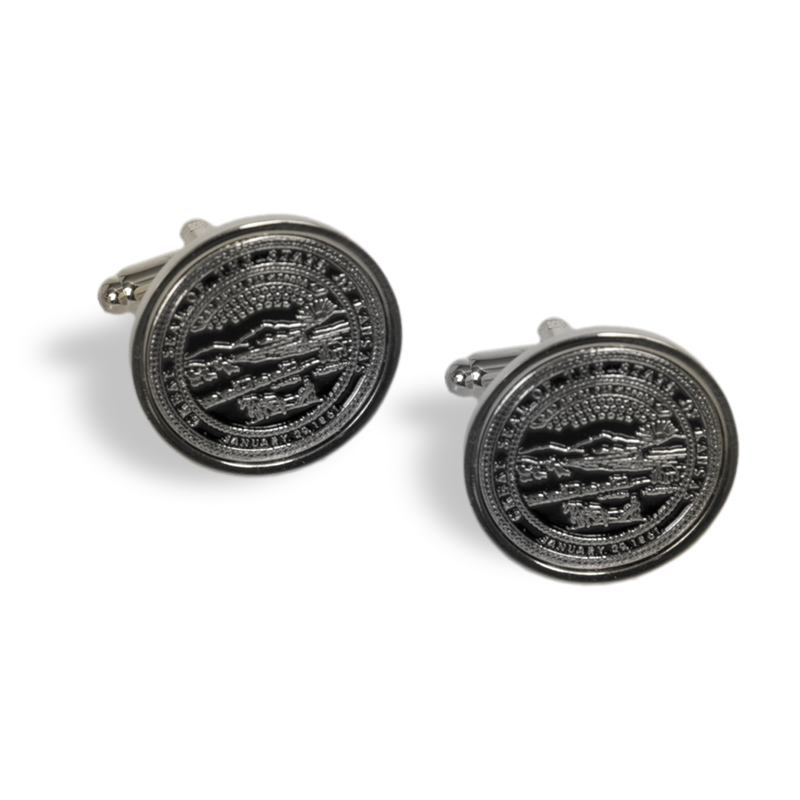 This pair of silver cufflinks with back clasp depicts the Great Seal of Kansas. Adopted in 1861 during the state’s infancy, the motto is Ad astra per aspera, “To the stars through difficulties.” The seal was designed by a legislative committee to depict the rising sun, commerce, agriculture, trails, nature, and the native peoples who originally occupied the land. The perfect gift, these cufflinks come in a black lined gift box.